We are a friendly, volunteer club formed in 2009 by a group of like minded friends. 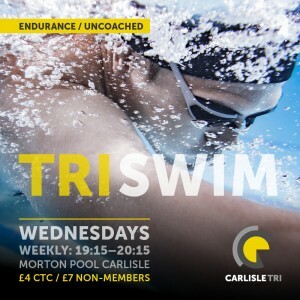 We aim to help all of our members enjoy swimming, cycling and running. 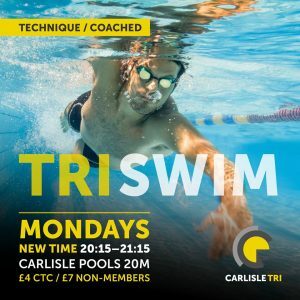 Since 2009 the club has gone from strength to strength, with over 100 members and a dedicated team of coaches catering for all levels of triathletes, from complete beginners to seasoned professionals. Please feel free to come down to any of our training sessions and have a go… you’re more than welcome to come and try each session to see if it is for you. We cater for all levels of fitness. Please speak to one of the coaches when you arrive and they will give you vital information that you will need for the session. If you enjoy the sessions and want to become part of the club (which we hope you will) details can be found here on how to join or alternatively you can email the club secretary or membership secretary if you have any questions about any of the sessions, joining or anything else you’d like to ask. 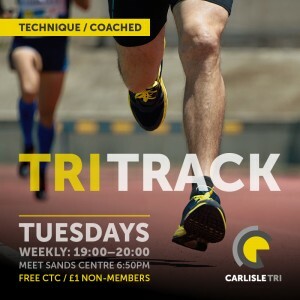 We are a British Triathlon affiliated club, we are also an English Athletics affiliated club. 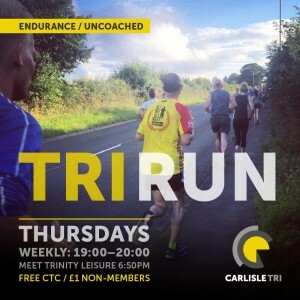 This year the club’s Duathlon is part of Triathlon England’s North West Senior Series Events and our 10k is part of the new and exciting Carlisle 10k Series.